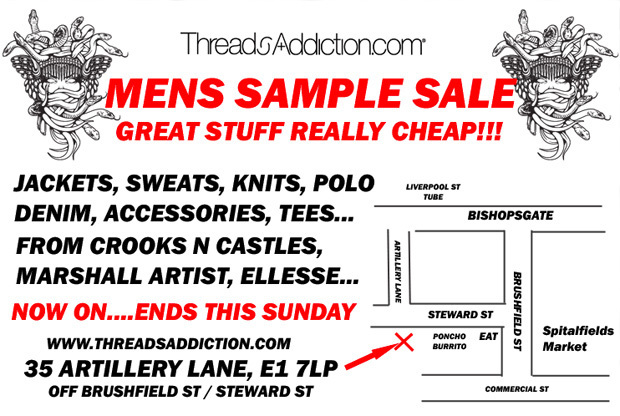 It appears the folks at Threads Addiction are putting on a bit of a sample sale this weekend in East London. Situated just off Steward Street, near Spitalfields Market, expect to find a selection of product at “really cheap” prices, from the likes of Crooks & Castles, Marshall Artist and Ellesse. Full details can be found on the flyer above. The Sale runs until Sunday.